Here is a lesson from Nairobi, as conveyed to the United States by Kennedy Odede, whom Wikipedia identifies as "an internationally recognized social entrepreneur." Don’t put your hope in elected officials. Real change starts locally. This advice appeared by way of a column in The New York Times on Saturday, November 17, 2018, "What a Kenyan Slum Can Teach Us." It is a short column, and well worth reading. 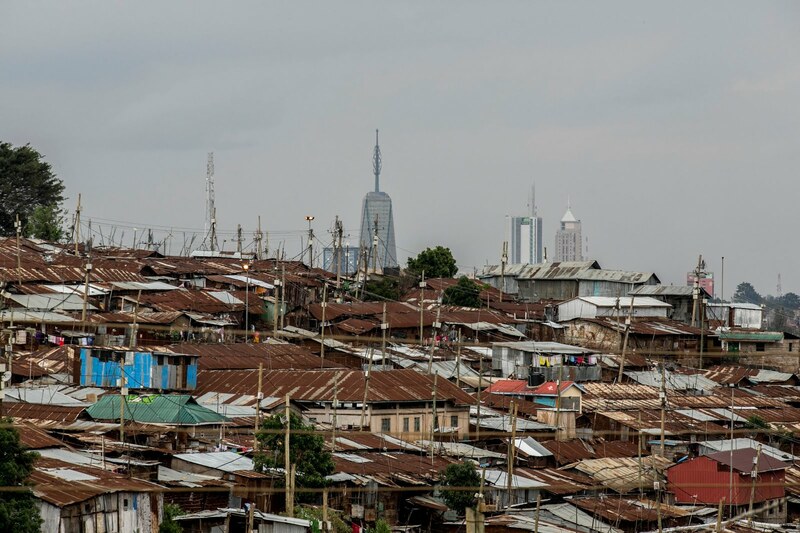 Electing the people, who hire the people, who run our lives for us is not going to produce a satisfactory result - in Nairobi, Kenya or in Anywhere, America. We may think that power is located in those tall and imposing buildings, seen above, beyond the slums, but it actually comes from our own homes, and our own actions. We will realize the benefits of self-government (a treasure truly to be prized) only when we get involved in the government ourselves. As one of our better presidents reminded us, our government is supposed to be "of" and "by" the people, not just "for" them.